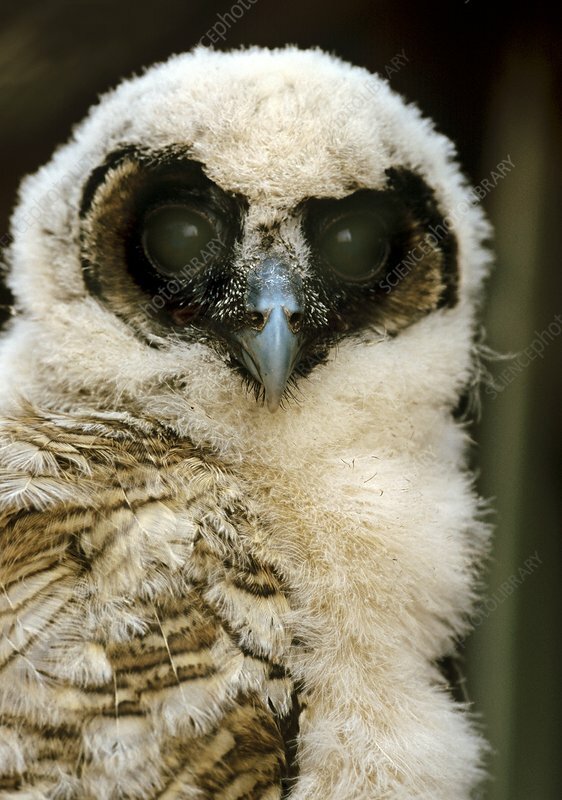 Brown wood-owl chick (Strix leptogrammica). This chick is partially covered in the downy feathers that it will shed to reveal its adult plumage, the upper parts of which will be brown. This owl can reach a body length of over 50 centimetres. It is found in densely forested tropical areas of southern Asia. It is nocturnal and feeds on small mammals, birds and reptiles. Photographed in Thailand.